A Weekend with the Family (2016) – What's New on Netflix Canada Today! 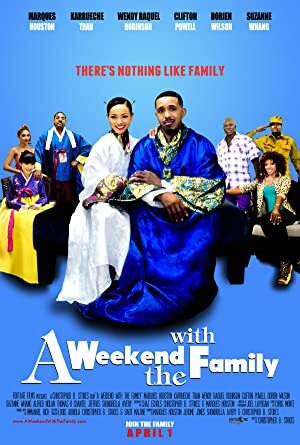 A young attorney looks to gain a position at a prestigious law firm while secretly dating his boss’ daughter, who he’s hoping to marry; but when his loving girlfriend decides to arrange a surprise family weekend get-together, his plans blow up in his face, especially with the arrival of his ghetto-fied family, the Stankershets. Travis and Courtney portray love interests who struggle to hold on to their relationship all while their two families wage war in an explosion of hilarity. It’s the far east against the deep south; strict, traditional, Korean customs versus a backwards, country way of life. In the end, Travis must find a way to make the two families peacefully co-exist long enough for him to propose to the woman he loves.